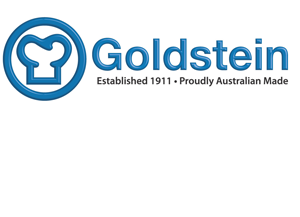 Goldstein is an Australian designer and manufacturer of cooking equipment & commercial kitchen equipment. It's the largest manufacturer of commercial kitchen and food service equipment in Australia. The extensive range of Australian designed and made products cater for all kitchen sizes and menu requirements in cafes, restaurants, hotels,function centres, food courts, hospitals, aged care and other food service areas. All products are designed to operate with maximum energy efficiency at a reasonable price. Petra Equipment has the full range of Goldstein Kitchen Equipment, If you do not find the Goldstein equipment or Goldstein oven you are after, you can always contact us and we will look after you. We provide Cooktops, Commercial Deep Fryers, Combi oven & Pizza oven. You might be interested in our top Goldstein models: Goldstein GPGDB-12, Goldstein FRG-1L & Goldstein PFC-8-28E. Feel free to contact us if you have a new project in Sydney, Adelaide, Melbourne & Brisbane.